I crossed into Switzerland north of Basel and it wasn’t long before I found a cycle route sign pointing where I wanted to go. This has been a feature of riding in Switzerland to date: there is always a cycle path where you want to go. These paths are incredibly easy to follow and made my map redundant, even in tiny little villages in the middle of nowhere the little red signs faithfully showed me the way without ambiguity or nerve inducing gaps between then. So I followed a cycle path out of Basel towards Liestal and through Basel Land and some of the most beautiful scenery yet. 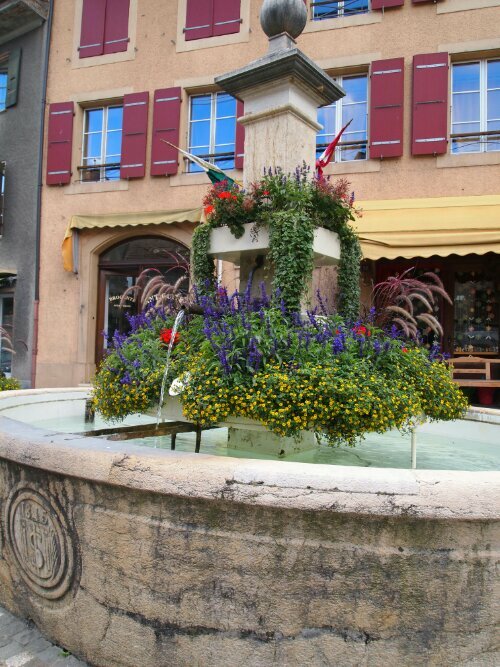 Perfect little Swiss villages with fountains with drinking water. There was also some unwelcome climbing to do, which I was expecting as I’ve learned to pay more attention to the little numbers next to triangles on my maps…. 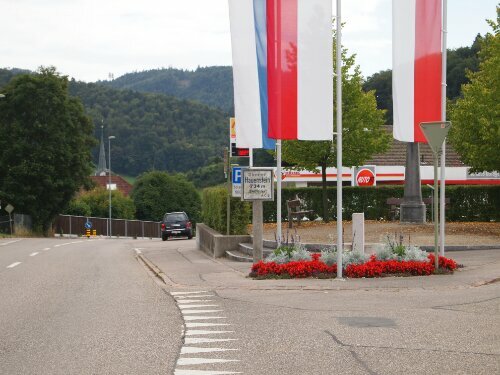 I took this wonderful cycle path all the way to Biel, stopping in one village to get a persistent clicking my bike was making looked at. The mechanic stopped what he was doing and did his best to help me right away. While he didn’t know what the problem was he tightened everything up and checked my gears and when I set off it was click free and with a weight off my shoulders. From Biel to Neuchatel I rode alongside lakes along the highway for a less scenic more direct route. Even here there were separate cycle paths and I felt much safer than cycling in England. At the end of the day I was lucky enough to be hosted by the Fischer family who were very kind to let me stay with them in their lovely apartment looking out on to the lake. The next morning, after five hard days of riding the last thing I wanted to do was get on my bike but with one last push to Geneva required I saddled up. Embarrassingly I could probably have walked the first hour quicker, after that I picked up the pace and rode hard into Geneva. Thankfully I rang the right doorbell and scared one half of the couple as I loomed out of the darkness in cycling gear, especially as his girlfriend had said I probably wouldn’t be there till the end of the week. I was pretty relieved to see him that’s for sure, and one he realised it was me I was allowed in. 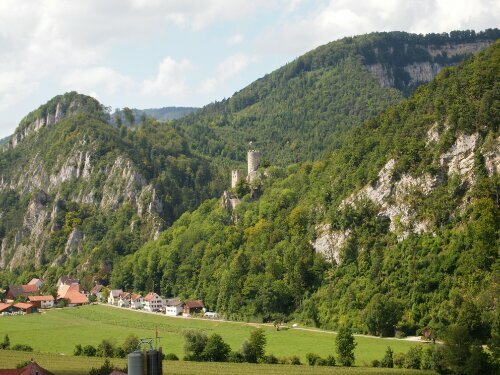 August 28, 2013 in Countries, Cycle touring, Europe.